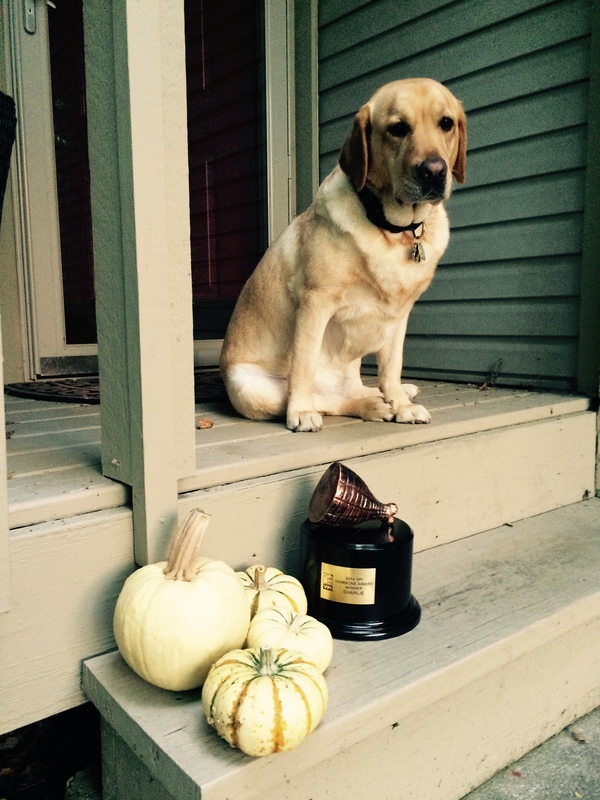 Charlie, a Labrador retriever from Indianapolis Ind., has won the 2014 VPI Hambone Award® honoring the most unusual pet insurance claim of the year. Charlie earned the nomination after getting into a treacherous tangle with a tractor and making a remarkable recovery from life threatening injuries. The 6th annual VPI Hambone Award® is presented by Veterinary Pet Insurance Co. (VPI), the nation’s first and largest provider of pet health insurance, and a member of the Nationwide family of companies. After selecting 12 nominees for the most unusual claim of the year, VPI opened voting to the public at hamboneaward.com to decide the winner, where Charlie received the most votes. 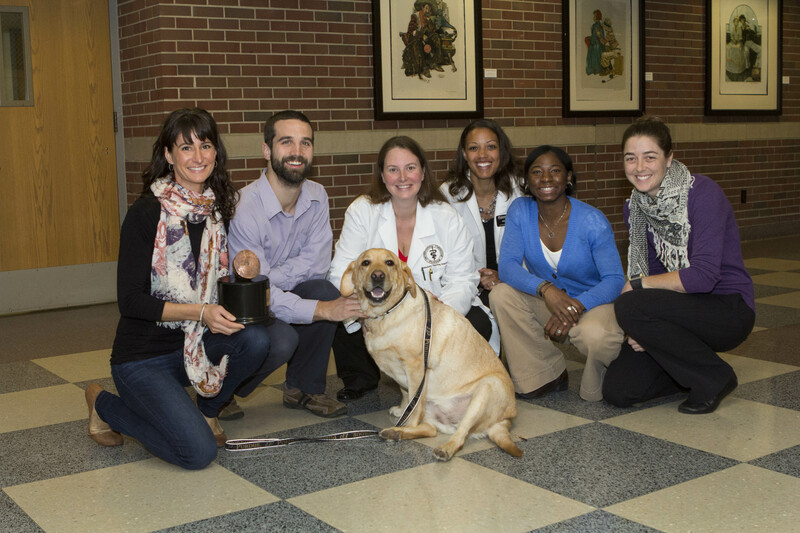 Charlie was treated by the veterinary team at Purdue University Veterinary Teaching Hospital where they performed two emergency surgeries to save the lovable Lab’s life. For their outstanding treatment of Charlie, Purdue University Veterinary Teaching Hospital will receive a $10,000 VPI-funded award through the Veterinary Care Foundation (VCF) to treat pets whose owners could otherwise not afford treatment. One hundred percent of all donations to the VCF are used to treat pets, with no contributions used for administration, fundraising or overhead. Charlie is no stranger to tractors, growing up with owner Jessica Parsons on her family farm. But one day Charlie’s comfort quickly turned to concern after she slipped and was crushed by large farming equipment that was being towed behind a tractor. The injuries didn’t seem major at first as Charlie escaped the incident with only some cuts on her tail. However, the next day when Charlie was unable to get up or walk, Jessica knew something serious was wrong. After taking Charlie to her local veterinarian, Jessica was advised to take Charlie to a specialist at the Purdue University College Teaching Hospital. Once at Purdue, the veterinarians performed multiple tests on Charlie and discovered daunting results. 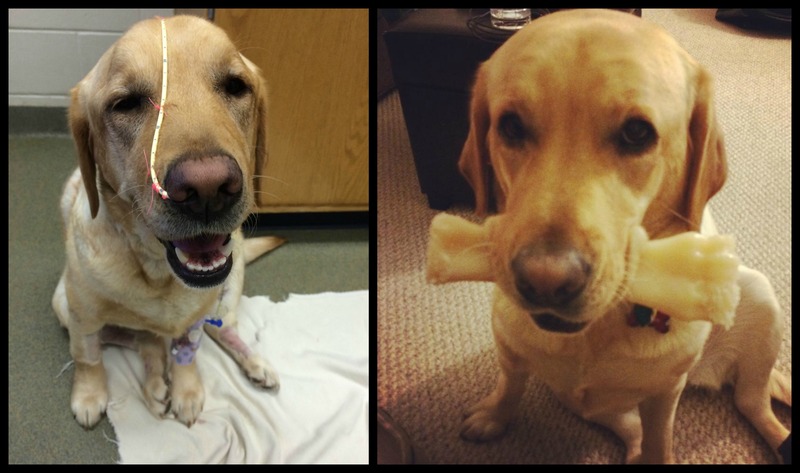 Charlie had a fractured spine and internal bleeding from a damaged kidney. The veterinarians immediately performed surgery to stabilize Charlie’s spine, and treated her abdominal injury. But when the internal bleeding persisted, the team quickly performed a second surgery to remove the failing kidney. Since the incident, Charlie has had a long road to recovery, but has made a remarkable comeback. From taking her first steps to making a television appearance, Charlie is back to her old self. Jessica is incredibly grateful to the team at Purdue for saving Charlie and is thankful for having pet health insurance with VPI who reimbursed her more than $10,400 for Charlie’s medical care and expenses. On behalf of us here at Veterinary Pet Insurance, congratulations to Charlie and all of the 2014 VPI Hambone Award® nominees!